Low self-esteem can have a big impact on your happiness and quality of life. People with low self-esteem tend to feel like they aren't good enough or can't do anything right. They also tend to view life through a bit of a negative lens. This negative lens helps to confirm the way that a person with low self-esteem thinks, and keeps them from seeing themselves in a more positive light. 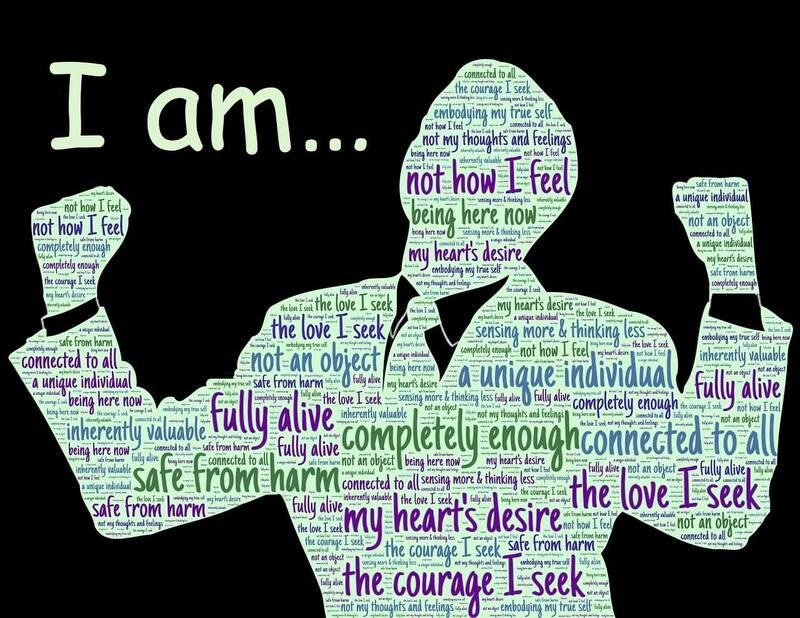 In Self-Esteem: The Puzzle of Low Self-Regard, the authors note that people with high self-esteem tend to have a positive and well-defined self-image, whereas those with low self-esteem have a more neutral and uncertain view of themselves. It's important to be aware that while low self-esteem is a negative thing, very high self-esteem isn't good either. People with very high self-esteem can be over-confident and a little full of themselves. Ideally, healthy self-esteem exists in the middle of a continuum between high and low self-esteem. Luckily, if you suffer from very low or inflated self-esteem, there are a few things you can do about it. Low self-esteem isn't the same for everyone, but several indicators can tell you if someone might be dealing with it. You can usually tell the difference between someone with a healthy sense of self-esteem and someone with low self-esteem after spending a little bit of time with them. 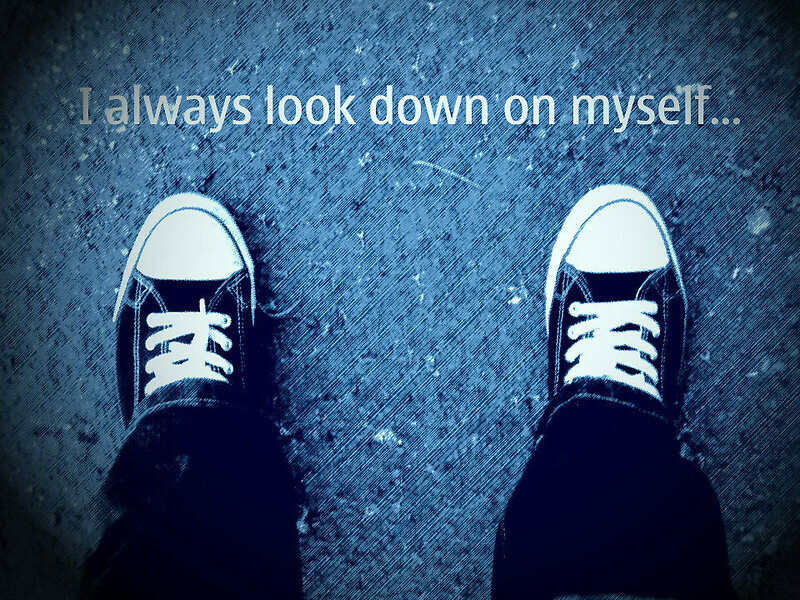 If you suspect that you might have low self-esteem, a little bit of introspection may be needed to identify it. 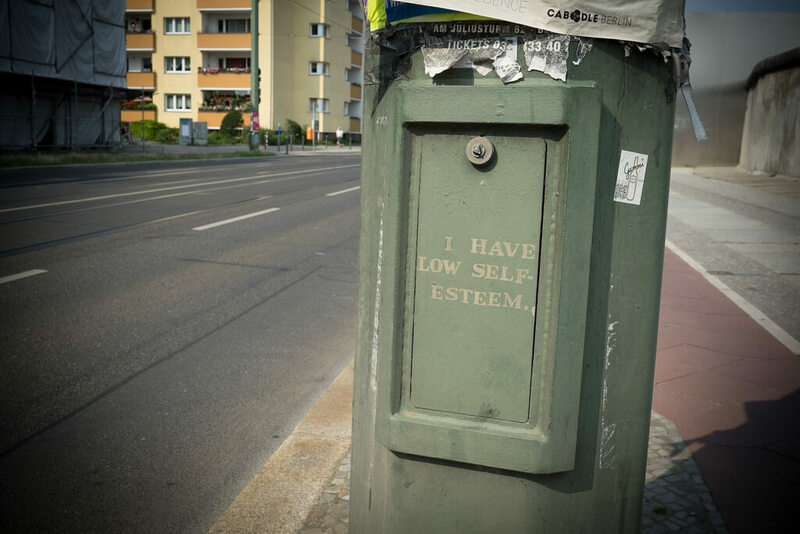 If you can relate to a lot of these things, you most likely suffer from low self-esteem. Don't worry! Things may seem a little hopeless now, especially if you've had low self-esteem for a long time, but the important thing to know is that your self-esteem is not set in stone. Once you've identified that you have low self-esteem, you're most likely wondering, "How can I change it?" With a little bit of hard work, you can change your thought patterns and habits. After a while, you'll start to see the world, and most importantly yourself, through a more positive lens. Therapy, such as talk-therapy or cognitive behavioral therapy, can help people with low-self esteem learn about their processing biases (biases in how they select and distort information, or choose certain memories to focus on) that help maintain unhelpful perspectives. There are many ways to find access to a qualified therapist. You can ask for a recommendation from friends and family, get a referral from your doctor, search online for well-liked therapists in your area, or even sign up for an online counseling service like BetterHelp. Online counseling is great because it's affordable and convenient. Services like BetterHelp allow you to exchange unlimited messages with a counselor that's specially picked to suit your needs. If you don't like the counselor they choose for you, you can always get a new one. Whichever way you choose to go, talking to a professional can guide you in overcoming any blocks that are contributing to your low self-esteem. A therapist can help you learn how to improve your self-esteem and give you strategies to make sure you don't end up back in the same place again once your therapy is over. Low self-esteem can't be fixed just by thinking positive all the time. Repressing negative thoughts and feelings isn't always a good thing. It's better to let your feelings out in a healthy way, like journaling or talking with a friend, instead of pushing them aside. Why do bad things always happen to me? … chances are you're suffering from low self-esteem. These kinds of thoughts aren't serving you at all; they just make you feel worse when you're already feeling down. In these situations, making an effort to be kind to yourself and use a bit of positive self-talk can make a big difference. Being indecisive and a people pleaser is not good for your self-esteem. While always putting other people first sounds like a great quality to have, it essentially means that you're always putting yourself second. If someone asks you where you want to go to eat and you think that they won't want to listen to your suggestion, so you tell them to pick, you might be suffering from low self-esteem. Wondering how to end these little habits once and for all? You need to learn to be assertive. Your thoughts, feelings, and opinions matter and you should feel comfortable sharing them when asked. For example, if you always let your friends pick the movie when you go to the theater, ask them if you can choose next time. Once you get used to making decisions and not being put down for sharing your opinions, your self-esteem should start to improve. Another habit that can be detrimental to your self-esteem is falling into the comparison trap. You might know what it's like, constantly thinking to yourself, "If only I had her looks," "If only I had his talent," or "Why can't I be more like that person?" The thing is, you are not these people. To be happy and confident, you need to learn how to be happy with yourself. How are you feeling that day, or at that moment? Is the comparison you're making fair or realistic? If you told a friend or family member what you're thinking, would they agree? Is there a pattern of the things you compare yourself with others on? Being more aware of how you're feeling when you compare yourself to others and why you might be doing it can help you realize that things need to change. If you find yourself starting to compare, try to counter it by thinking of something that you like about yourself. Recognize that you and the person you are comparing yourself to are both different people and you both have positive qualities. Low self-esteem can be caused by several factors, including things from your past and your present. There may be things, like how you were treated as a child, that had a big impact on your self-esteem. Unfortunately, you can't change the things that happened in the past and hang on to negative feelings that you had when you were a child can perpetuate your low self-esteem. Instead of clinging to the past, try to come to terms with it. You can't change what happened before, but you have control over what is going on now. Is there anything you can think of that's currently fueling your low self-esteem? This could be anything from a current dysfunctional relationship or work at a job you hate, to have put on a few extra pounds over the holidays. These things could be having a direct negative impact on your self-esteem now, which is why it's important to change anything that's keeping you in a bad place. Leave your dysfunctional relationship, find a new job, or lose the weight that's making you feel bad about yourself! If several things are affecting your self-esteem, make a list and try tackling them one by one. With every item on your list that you address, you should start to feel a sense of relief. You'll finally be making the changes you need to feel better about yourself, which can be empowering. The key is to start off small and don't be hard on yourself if some things take a little of time to sort themselves out. Low-self esteem can negatively impact your life in a lot of ways, making it harder to enjoy things and making you feel like the world is against you. If you notice that you've been shrouded in a cloud of negativity and realize that it's being caused by low self-esteem, it's important that you act to try to change it. It might seem hard now, but improving your self-esteem is possible and worthwhile. There are numerous ways that you can improve your self-esteem. An effective starting point is talking to a therapist who can help you identify your biases and thought processes that perpetuate your low self-esteem. Other helpful tactics include avoiding negative self-talk, learning to be assertive, not comparing yourself to other people, and focusing on things that are in your power to change. The road ahead might be long and not always easy, but don't lose hope. It takes time to develop low self-esteem, and it will take time to boost your self-esteem up to healthier levels. Be patient. Start small, don't give up, and you'll start seeing progress in no time.